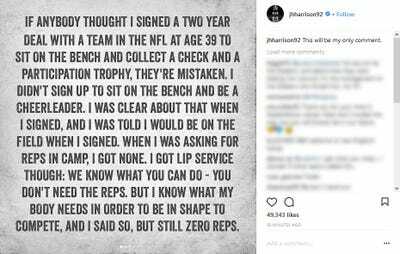 James Harrison posted a note on Instagram criticising the Pittsburgh Steelers for their handling of him this season. Harrison said that he was told when he re-signed that he would play. But he wrote that he did not receive enough opportunities to get ready for the season. Harrison said he did not re-sign with the Steelers to sit on the bench. James Harrison is firing back at those who were critical of the way he left the Pittsburgh Steelers and landed with the New England Patriots, a potential Steelers playoff opponent, in the past week. Earlier this week, Harrison’s former teammates criticised him and his behaviour before the Steelers released him on Saturday. They suggested Harrison no longer wanted to be on the team and forced his release. 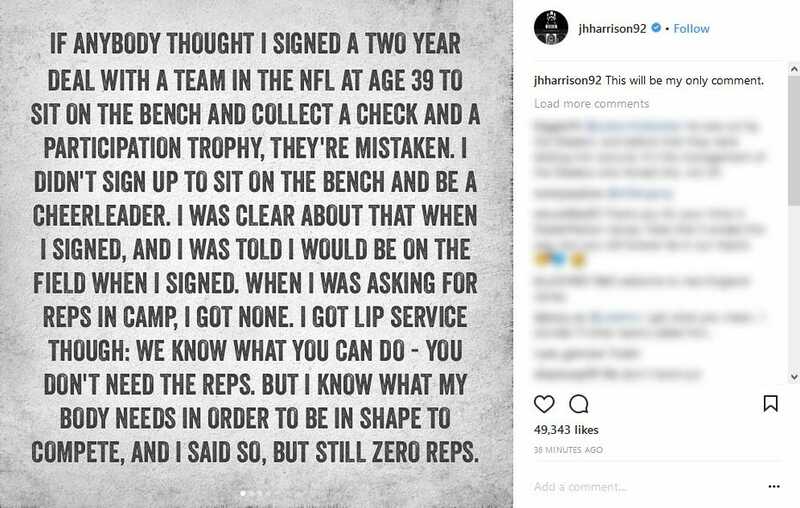 On Friday, Harrison posted a note on Instagram saying the Steelers misled him when he re-signed earlier this year by not using him. He also took another swipe at participation trophies. In 2015, Harrison made headlines when he posted a lengthy message on social media criticising participation trophies. In that post, he said he planned to return two trophies his sons had received because he believed they had not earned real ones.